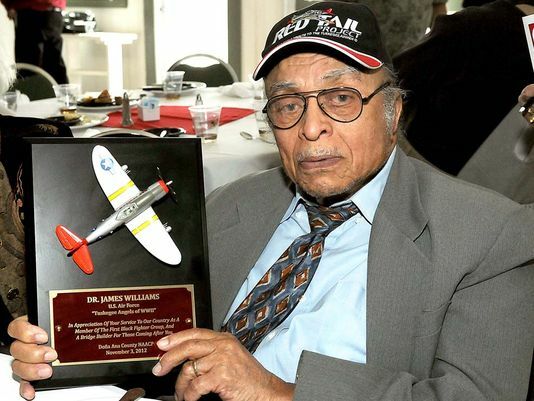 Dr. James B Williams, former Tuskegee Airman and Chicago physician, died recently at age 97. It is hard to imagine the changes this man experienced as a black doctor and WWII veteran growing up in and living through segregation, the Civil Rights Movement, and attending Barack Obama’s inauguration…all in one incredibly full lifetime. I was struck by his story as I read his obituary in the Chicago Sun-Times a few weeks ago reporting that he passed away in late November. As I often do, I tore the story out of the newspaper and set it aside for further research from which to develop a blogpost. 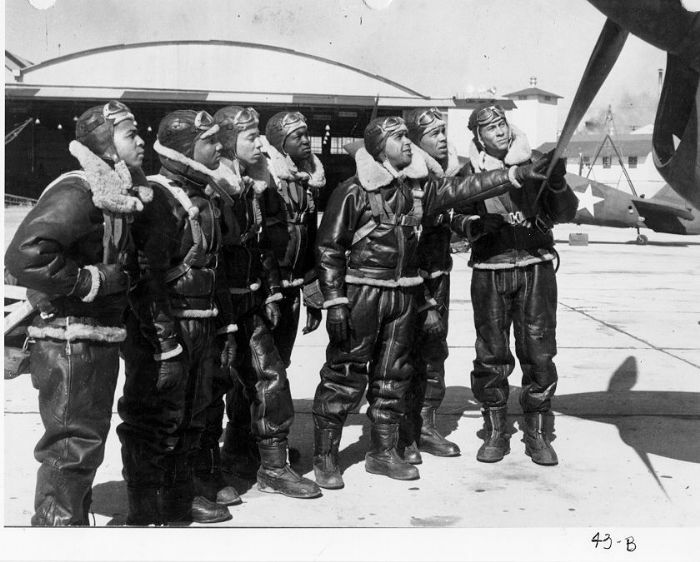 I particularly connected with the fact that, here was an intelligent man, a doctor, an officer, a pilot, a veteran, the first African American physician at St. Bernard’s Hospital on Chicago’s South Side (where my dad grew up), who yet endured treatment as less than whites, less human, less deserving, less…everything, for much of his life. He lived thru decades where that was the norm in America. All because of the color of his skin. I have 5 black grandchildren now, and I can’t imagine them going to school and being discriminated against, bullied, separated, taunted and looked at as less than…others…like it was in America when I grew up. This man lived with that most of his life, regardless of his enormous personal accomplishments as a remarkably capable human being. Imagine still having to prove yourself as equally human, or worry about getting strung up by white folks who not only think you deserve it, but would probably get away with it. This image is from Marion IN, 1930 when Dr. Williams was 11 years old. 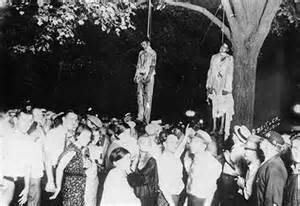 Only 15 years later and but 125 miles south of this crowd of just plain good Xian white folks and their evenings entertainment, would he and his fellow black officers stand up for equal treatment. One gets an all too real idea of the overwhelming attitude of the culture at the time that they were up against, and the courage of he and his fellow officers then, and the Civil Rights activists in the 50’s and 60’s, in trying to change the thinking of an entire country. 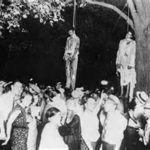 What changes he witnessed in his 97 years…From regular lynchings of black men like the one depicted above, during the times when he was born and grew up to be a young airmen, to the first black president inaugurated the year he turned 89. Just imagine witnessing, living through, that sort of sea change of our culture. The racism that still persists is no longer mainstream, it is driven underground, is no longer the accepted norm, not enforced in our laws, nor a daily practice in our culture as it once unquestionably was. Times have changed incomparably. They way we think is different, the Zeitgeist has transformed, we have become educated, our consciousness raised. Old ideas often supported by, if not outright promoted by religious thinking, have been relegated to the realm of the backwards few. 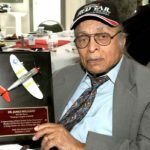 His participation as an officer of the Tuskegee Airmen protesting unequal treatment in the military was a decade before Rosa Parks refused to give up her seat on the bus to a white person in Montgomery Alabama, 2 decades before the Civil Rights movement saw the Voting Rights Act of 1965 enacted, and over 4 decades before he attended Obama’s inauguration in 2008. It is hard to imagine the world he lived in as a child and young man, and incredible to think how he must have felt as he watched it all change and eventually saw a black man take up residence in the White House. We can change the world. Dr. Williams saw more bleak times and stunning advances…a dozen lifetimes full of real changes. Born just after WWI, he saw the Prohibition days, the Great Depression, Hitler’s rise and WWII, the atomic age, DNA discovered, the Cold War, the Civil Rights movement, race riots and Vietnam, the assassinations of JFK, RFK and Martin Luther King (to whom he was a physician (MLK), as well as Muddy Waters! ), the moon landing, the Nixon years:Watergate and a President removed from office, the first woman on the Supreme Court, the Berlin Wall come down, sequencing of the human genome, and the first black President. Incredible change and progress. The US has become incomparably less regressive, backwards, intolerant and ignorant than in 1945, 55 or 65. We are not done yet. There is much consciousness raising to be done yet with ethnic groups, sexual orientation and gender. 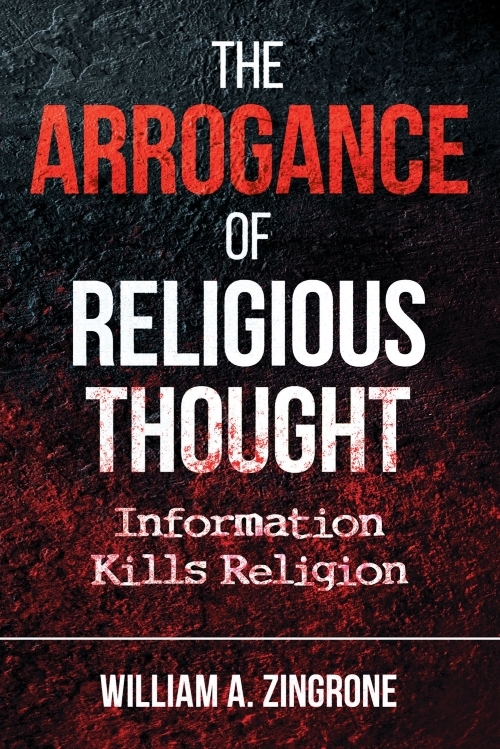 What holds us back in all cases is conservative thinking usually based in old, incorrect, religious ideas. It is said in Dr. William’s bio that he treated everyone he met with respect, from the janitor and doorman at the hospital to the President of the Untied States. He stood up for his rights, treated all humans with tolerance and lived to see this sort of humanism become mainstream for people of all colors. His life was an example of personal accomplishment, exemplified by having the courage to demand to be treated with dignity over 70 years ago. 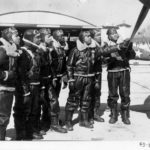 This entry was posted in History, Humanism, Philosophy and tagged Civil Rights, History by waz. Bookmark the permalink.